From what we have seen out of Skyward Sword thus far, the 1:1 sword gameplay mechanic that has been implemented surely does seem to make the game more difficult. In Twilight Princess and previous Zelda games, sword battling seem to just turn into running into an enemy and button mashing. This isn’t the case at all with Skyward Sword as precision is key and random sword slashing will get you nowhere against certain enemies. 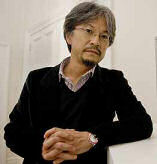 Eiji Aonuma recently commented on the difficulty of the upcoming Zelda title. I for one really like the idea of more challenging swordplay. What we saw thus far was fairly basic and my mind can only wonder what other enemies and puzzles can be used based on the 1:1 swordplay. Only time will tell, but it sure seems we are setup for a more challenging Zelda game then we have gotten in recent times. Until then, head on over to our Skyward Sword Forum to discuss the game with other friends. Be sure to check out all our Skyward Sword content and bookmark our Skyward Sword Walkthrough which we will be providing when the game hits in 2011.